On June 4rd, families came together at Picnic Park to enjoy the Pixar blockbuster Inside Out. 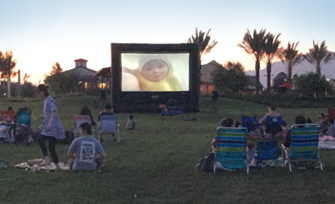 Move Night in the Park is always a hit and residents had a great time lounging on picnic blankets, snacking on popcorn and watching a movie under the stars. This special event gave homeowners the opportunity to connect in a festive setting and is a terrific example of how New Haven cultivates a warm and inviting community environment from one season to the next.